Become the Architect of Your Body, Mind, and Soul - by Lara Alexiou. Learn how to embrace challenges and rise up from them stronger and wiser. Lara Alexiou's debut book, Become the Architect of Your Body, Mind, and Soul is available now through Amazon.com, on Goodreads.com and for purchase in Studio. 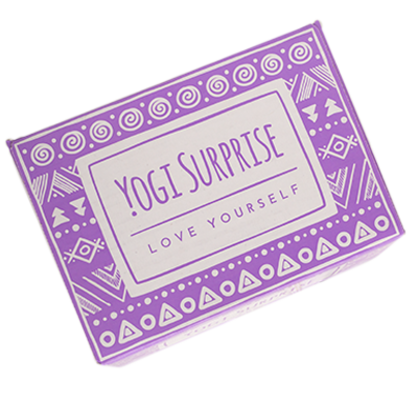 Become the Architect of Your Body, Mind, and Soul is featured in the Yogi Surprise Spring Equinox Box! Your best life is within your reach, and only you can create it. Using simple tools based on Yogic and Taoist principles, this book shows you how to take control and make your goals for every area of your life your reality. If you want a happier, healthier, more vibrant life, this book is for you! You will learn how to embrace challenges with ease and rise up from them stronger and wiser. You will discover your own true nature and how to maximize your strengths. You will be able to overcome anxiety, chronic pain, and self-sabotaging choices. Lara will show you how to attract a supportive partner and community and find your ideal work. Practicing the simple techniques outlined by Lara will transform your health, relationships, and outlook on life. The time is now to create the life you want! Now available for purchase and pick-up at the Studio! Lara's wellness articles have also appeared in New Age Journal, Creations Magazine, LifeZette, Travel to Wellness, Holistic Healing News and Bloomer Boomer. See more of Lara's wellness articles and podcasts on the Blog Page and Press Page. You can connect with Lara in person at Steamtown Yoga and on Social Media through Facebook and Instagram @laraalexiou. Lara’s wellness articles have appeared in publications all over the US. Hear the good stuff folks are saying about the work we do here at Steamtown Yoga that will inspire and enrich your yoga lifestyle. 5.0 out of 5 stars Words that will never grow old. By Kelly M on August 10, 2017 "Simplicity leaves room - more space in our heads, more time in our lives, more love in our hearts." Such a beautifully written book by Lara Alexiou. I already know this is a book I will read several times. It is truly inspiring. I especially love her breakdown of giving & receiving, the Yin & Yang of life. I have been fortunate enough to practice at Lara's yoga studio for the last 2 years -- she is as gifted a writer as she is a yoga teacher. I hope she writes us many more books! 5.0 out of 5 starsA must read if you are ready to change your life and want easy tools for actually succeeding in today's world By Book Worm on July 12, 2017 Format: Paperback I read a lot of personal empowerment books, and this one provided me with a totally new perspective on what is possible. A must read if you are ready to change your life and want easy tools for actually succeeding in today's world! 5.0 out of 5 starsSense of peace... By Marie Audrey Jones on October 9, 2017 Format: Paperback|Verified Purchase The moment the first page was read, I knew putting the book down would be difficult. Lara grabs your attention with relatable topics and engages you with a sense of belonging. A few weeks later I read it for the second time and felt just as much peace upon finishing. 5.0 out of 5 starsWisdom Beyond Her Years By Marty Wolff on July 24, 2017 Format: Paperback We often hear of something being "life changing." That is often code for buy my product or service and your life will be magically different. Well, here's something that could definitely inspire you to lead a happier, healthier, more productive life. Yes, this book could be life changing, if you learn from Lara, who has wisdom way beyond her years, and then decide to do the work to get long lasting, meaningful change in your life. Great job Lara Alexiou.